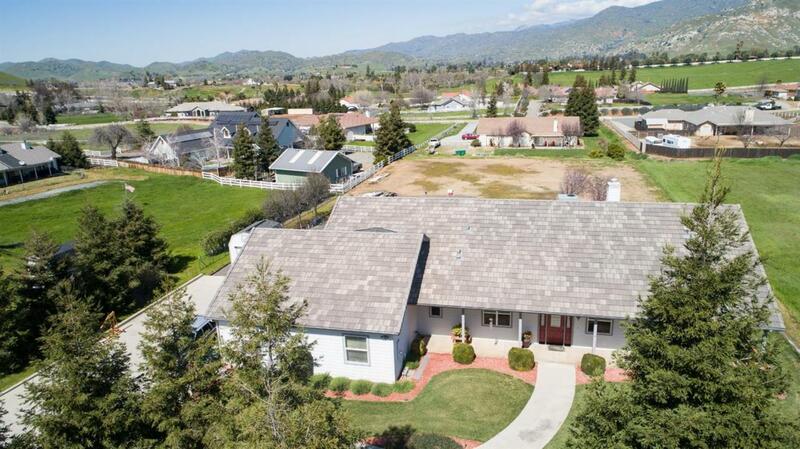 Beautifully maintained one-owner home in Springville's Montgomery Ranch. Enjoy the incredible views from this immaculate home! Features include living room with fireplace open to kitchen, convenient kitchen counter, gorgeous laminate flooring, formal dining room, large master bedroom and separate office. The ceilings are 10' and it has 2 x 6 construction with added insulation. The garage is over 1000 square feet and there are complete RV hook-ups!